Tom Furman sent me a copy of his new ebook to review. He sells a few ebooks which are all very good value, well produced and extremely accessible. I've recommended his book 10 Exercises that will de-age your body by 10 years to lots of people who just need a very simple set of moves. 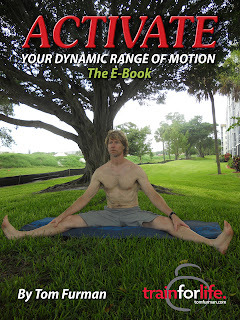 ACTIVATE - continues in that style. 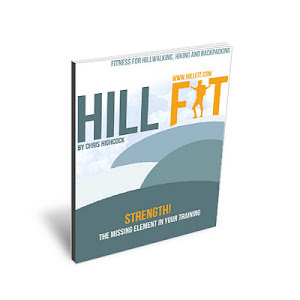 At only $10 it is superb value, well designed and illustrated with clear photographs and simple explanations of the various stretches and mobility drills. I am not really a fan of stretching as a warm up, but targeted stretching to promote and preserve appropriate flexibility- as Tom explains in the book - certainly has a role. Definitely worth your $10 You can download a copy here. what type of training should the person with no desire to compete, but who wants to improve both quality of life and longevity do? Is there some secret method, or is it common sense? I tend to go with common sense. There are no secrets, just truth yet to be uncovered. I have great sympathy for this - what does the average person need in order to maintain health and function. Just keep things simple. Are you KIDDING?!? THIS is worth my $10??? I'm unsubscribing from you blog. Thanks for nothing. I thought it was worth the money. You don't. Whatever.